^ 1.0 1.1 A Pale Blue Dot. Big Sky Astronomy Club. [2006-04-02]. （原始内容存档于2006-04-04）. ^ Pale Blue Dot. The Planetary Society. [2006-07-27]. ^ Pale Blue Dot. Sky Image Lab Astrophoto. [2006-04-02]. 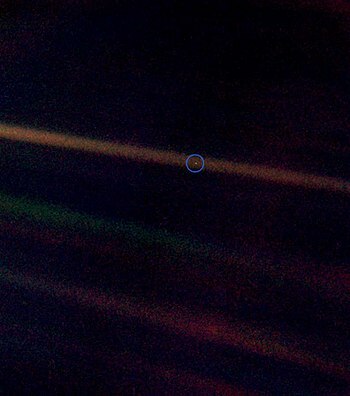 ^ 4.0 4.1 4.2 Pale Blue Dot Photo. ^ Sagan. You Are Here. Pale Blue Dot. : 8–9. （原始内容存档于2007-05-04）. ^ SPACECRAFT - Cassini Orbiter Instruments - ISS. [2007-05-09]. （原始内容存档于2008-12-04）. ^ 7.0 7.1 Solar System Portrait - Earth as 'Pale Blue Dot. [2007-05-09]. （原始内容存档于2007-03-14）. 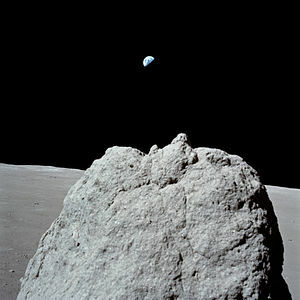 ^ 8.0 8.1 An Excerpt from A Pale Blue Dot - Explore the Cosmos. [2007-05-09]. （原始内容存档于2006-09-03）. ^ 趙丰. 天上人間：藍色的彈珠 (PDF) 131. 科學人中文版. 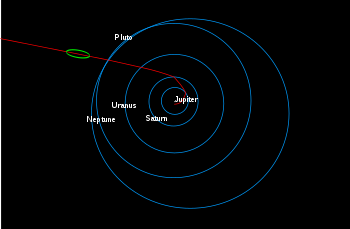 2013年1月: 26–27. ISSN 1682-2811. ^ 高爾, 艾伯特. " 艾伯特·高爾有關全球暖化及環境的演說". MoveOn.org. 2004年1月15日 [2006-12-18]. （原始内容存档于2006年12月9日）. ^ 9780345376596 - Pale Blue Dot by Carl Sagan. 薩根, 卡爾. 暗淡藍點：對未來人類身處於太空的目光 第1版. 紐約: Random House. 1994. ISBN 978-0-679-43841-0.